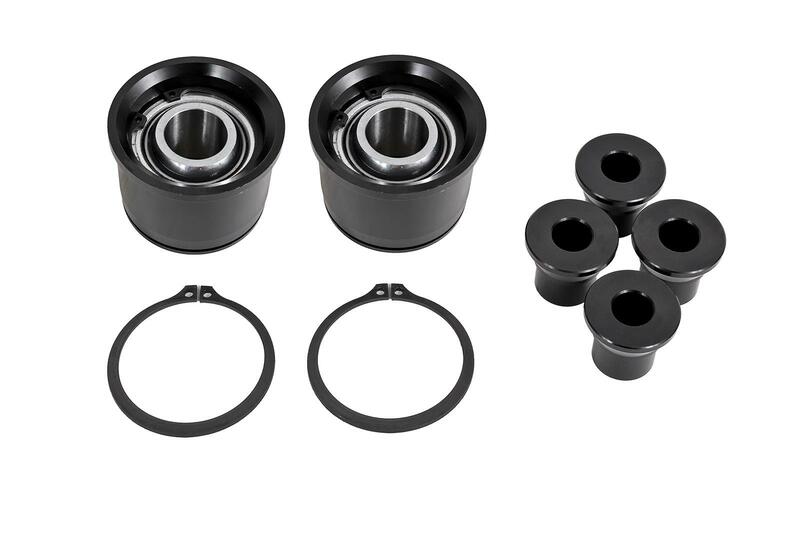 Minimize wheelhop and enhance the rear stability of your 2015 and newer S550 Mustang by decreasing differential movement with a Polyurethane Differential Bushing Lockout Kit from BMR Suspension. The stock rubber bushings with large voids are great for absorbing NVH, but do nothing for performance. 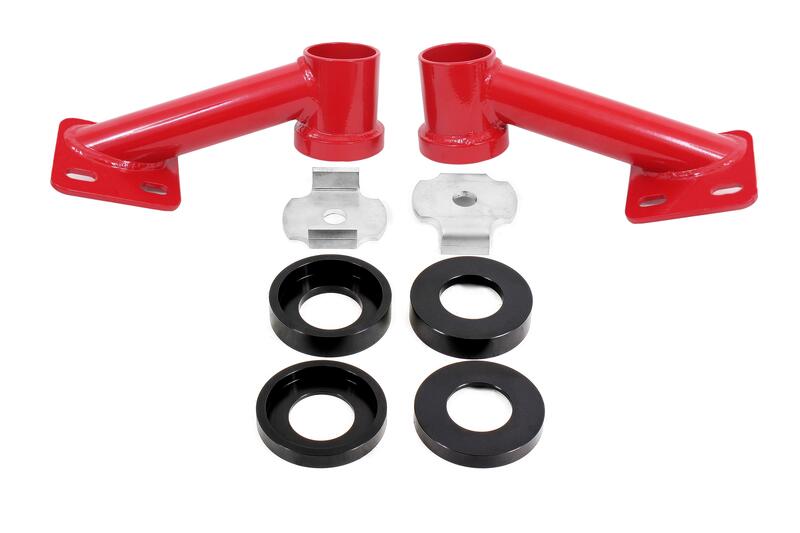 The polyurethane inserts in the BMR Polyurethane Differential Bushing Lockout Kit simply reduce the bushing deflection. 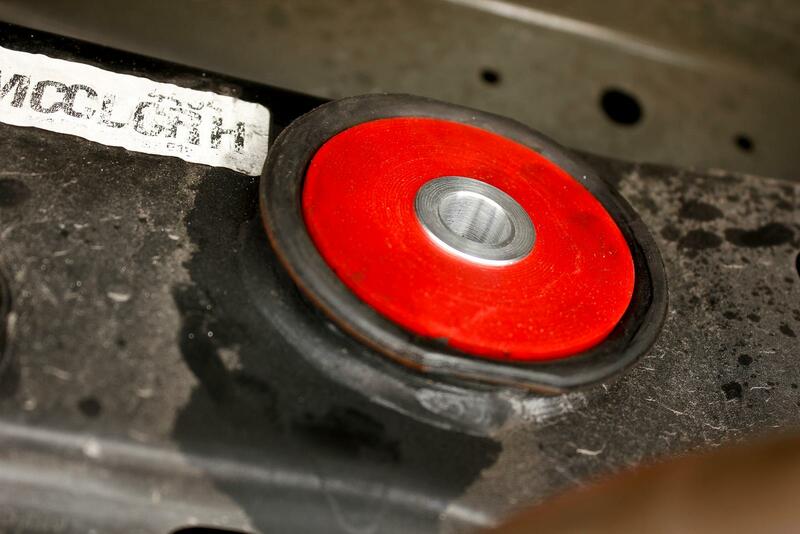 This non-permanent modification keeps the factory bushing in place, so NVH levels are not increased like a solid bushing replacement. 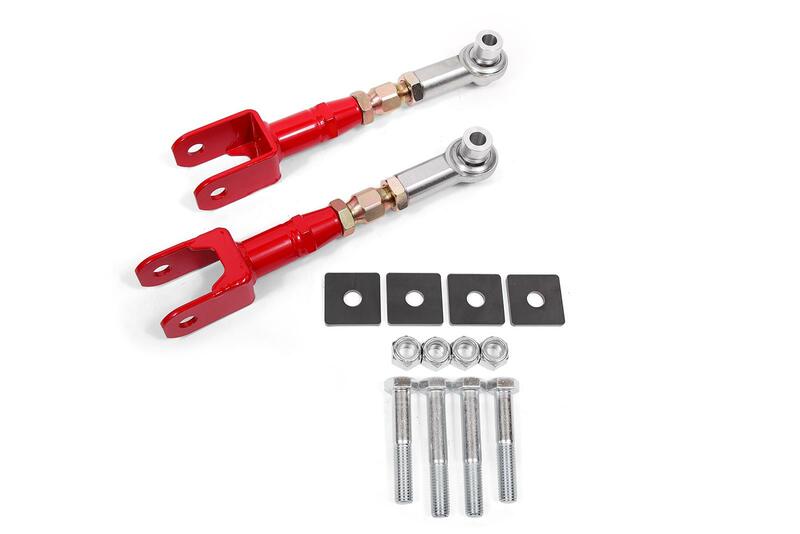 BMR Suspension’s Polyurethane Differential Bushings Lockout Kit (BK051) drastically decreases differential movement and pinion rise over the factory rubber bushings. 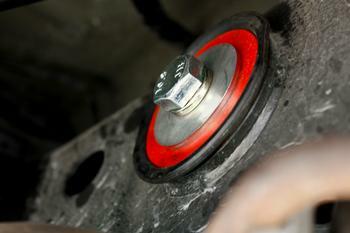 BMR designed its Differential Bushing Lockout Kit from 95-durometer polyurethane. This material is extremely strong, without significant weight gains. Each bushing lockout plate is molded to exact tolerances. This allows for a perfect fit and increased performance for any driving style. 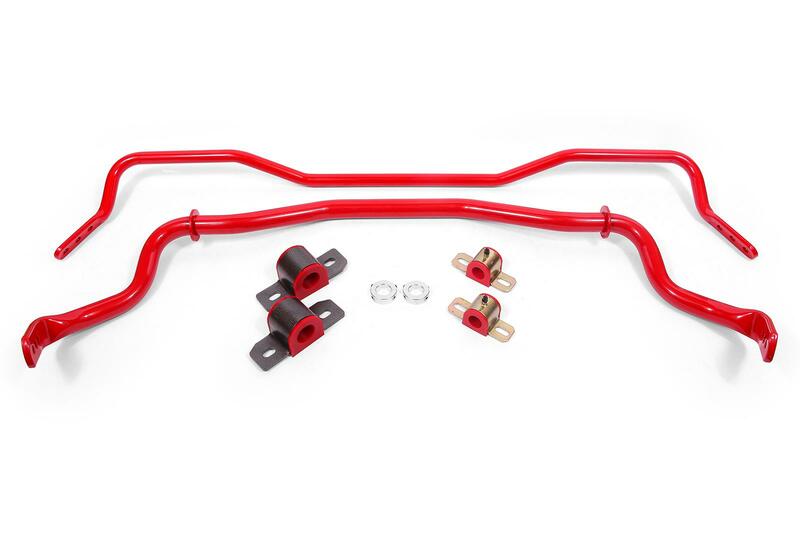 Designed for street performance, drag race, and handling applications, BMR Suspension BK051 Polyurethane Differential Bushing Lockout Kit is the perfect wheelhop solution for any S550 Mustang being used for performance driving. 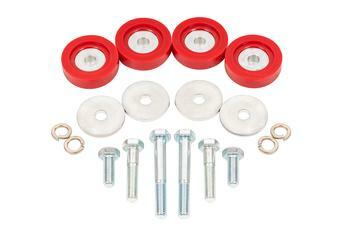 BMR’s Differential Bushing Lockout Kit offers huge increases in performance over the stock rubber bushings. The OE bushings are designed with air pockets and are made from soft rubber. 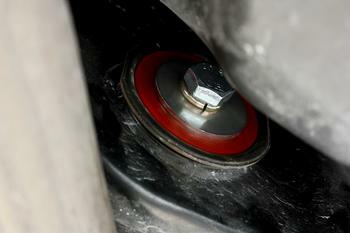 These “voids”, coupled with soft material produce excessive differential movement during normal and aggressive driving. 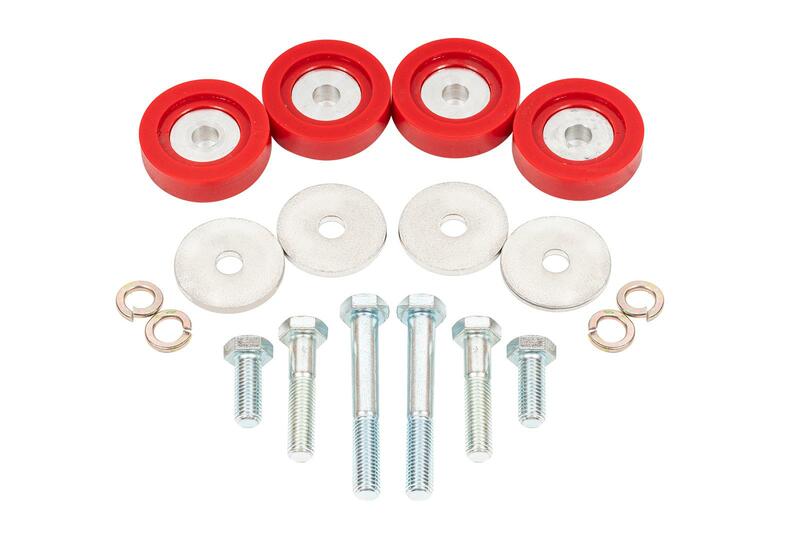 BMR’s Polyurethane Differential Bushing Lockout kit installs over the OE rubber bushing, reducing differential movement by filling the space between the bolt and bushing cup. This reducies wheelhop and increases handling stability, while giving you a much-improved overall feel in any performance driving situation. 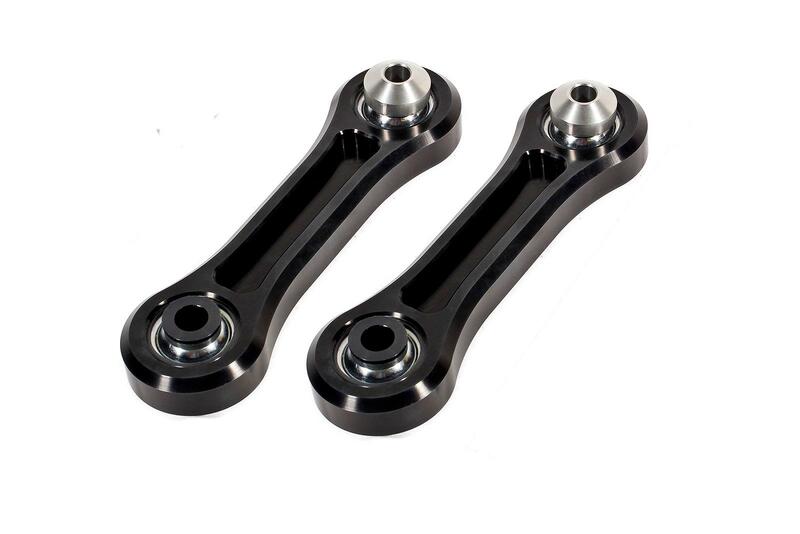 BMR Suspension’s BK051 Polyurethane Differential Bushing Lockout Kit is available in a durable black finish and comes with all necessary hardware. Installation time is about 1 hour. Proudly made in the U.S.A.! 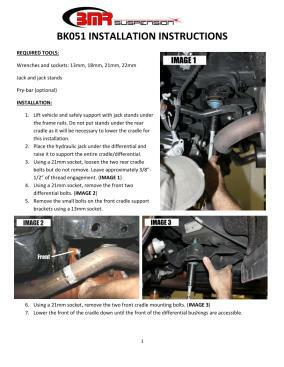 NOTE: NVH levels will increase with this product installed. 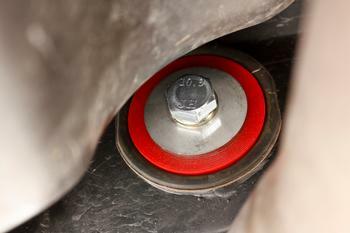 Not all cars are the same so some may experience higher levels of NVH increase than others.